Secure. 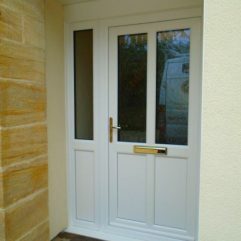 With multipoint locks and toughened glass as standard. Energy efficient. A-rated sealed units can help lower cost of energy bills. 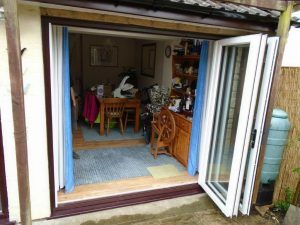 Transform your living space with bi-fold doors – expanding your living area while keeping the elements out. Bi-fold doors allow bigger openings than French doors, creating a panoramic view that can be eight feet wide or greater. Made in Somerset. Glazing units made in Somerset in our own factory. Our own qualified fitters. 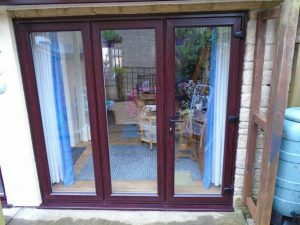 Unlike many door companies, our highly trained and friendly fitters are all employed by us – so you can be guaranteed a high quality service throughout. Are you interested in our Bi-fold Doors? Then contact us today to discuss your requirements for a free no obligation quote.